Trion Light all-year round backpacks are surprisingly light and versatile. 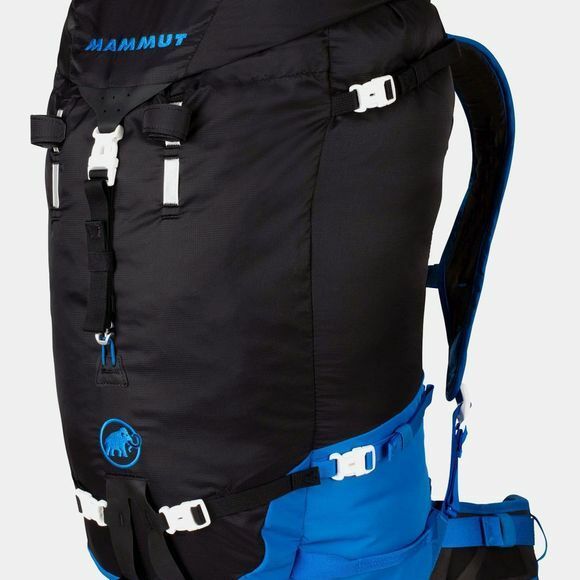 The 38+ is our multi-purpose model: Its total back length of only 55 cm and its removable top flap give you great freedom of movement when climbing. In case you need even more flexibility, you can easily remove the T-Frame „Remove & Climb” frame strut. 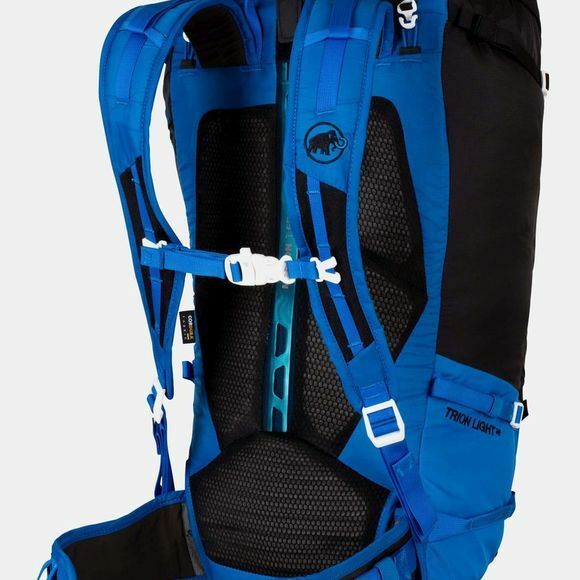 When you also remove the paddings of the hip belt and the flap you get a super light backpack that weighs in at only 630 g. On a ski tour, the very accessible front compartment is perfect for stowing your safety gear.